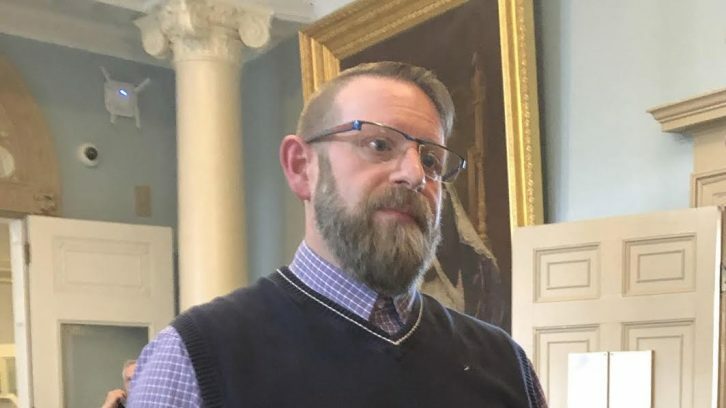 The Nova Scotia Health Authority is aware patient flow within the health-care system is one of its biggest challenges, a health official says. “We all know that ambulance offloads are an issue that are in the public domain right now,” said Tim Guest, vice-president of integrated services for the health authority. Guest appeared before the legislature’s standing committee on health Tuesday to discuss the health authority’s first accreditation report. The report was conducted by accreditation surveyors in October 2017 to assess Nova Scotia’s health-care system. The report found health care in the province met 92.9 per cent of national standards when providing services to patients, but the movement of patients between health-care services needed improvement. “This health-care crisis is an emergency,” said NDP MLA Tammy Martin, one of the committee members. She said there have been 113 critical code announcements since Jan. 7 due to lack of ambulance availability. In addition, 989 ambulances were off the road from October to December. “If that is not an emergency I do not know what is,” said Martin. Guest said there is no single solution to fix problems with patient flow. One suggestion he gave was to add long-term care beds to help with emergency department overcrowding. He said the health authority is looking into options for patient services outside of the hospital, like community-based clinics, more home-care approval and partnering with transportation agencies to move patients back and forth from hospitals. Feb. 11 marked one year since the paramedics union began to pressure the province about “dangerous” wait times for ambulance services. NDP MLA Susan Leblanc put forward a motion to have an emergency meeting this month to discuss ambulance service issues. The Liberals on the health committee did not vote in favour of the motion, so it didn’t pass. Instead, ambulance offload delays will be discussed at the committee’s next meeting on March 12.